This recipe was presented to me as a sort of “gratin” with the potatoes taking the place of the heavy cream in the sauce. Although, I really liked the outcome of the recipe once I made my low-cal changes to it, it didn’t feel “gratin”-y, if you know what I mean. What this reminded me of was a broccoli and cheese stuffed baked potato. Delicious in it’s own, but a gratin it is not. 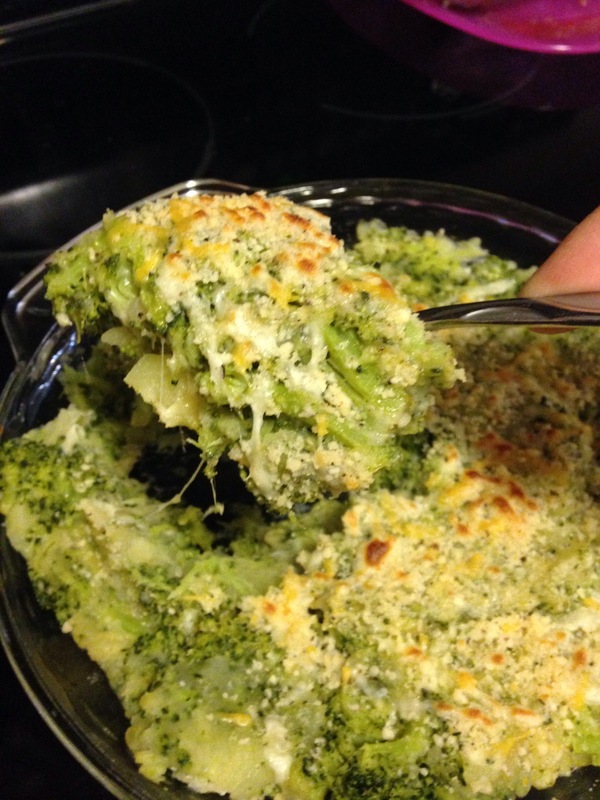 So, I present to you, Broccoli and cheesy potato bake. It looks i little crazy, but everyone in my house enjoyed it. Even the tiniest one (4 yrs old) enjoyed it, and the biggest one (my husband) even ate the leftovers! 1. Wash, peel. and cut potatoes into 1 inch cubes. Mix all 3 cheeses together in a bowl, and set aside. 2. 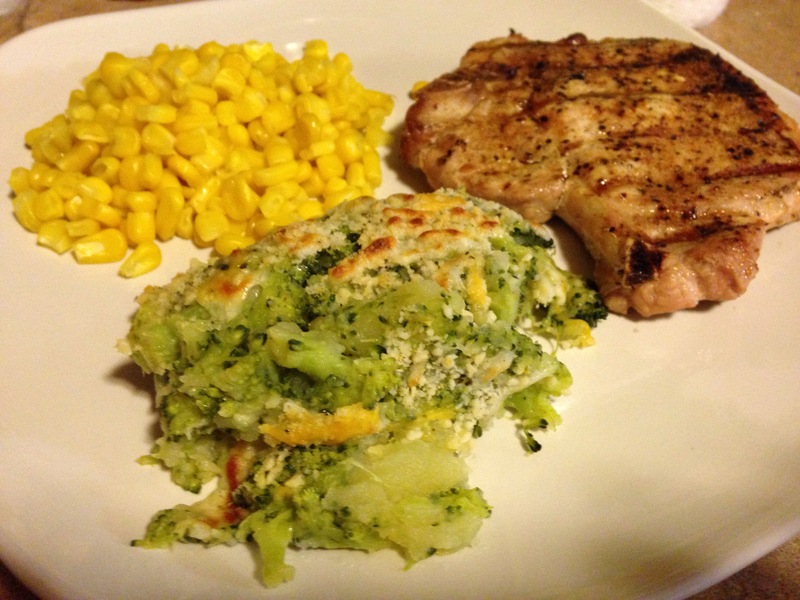 Place potatoes, broccoli, and 2 1/2 cups of water into a pan. Cover with a lid and bring them to a boil. 3. Allow potatoes and broccoli to boil, covered for about 17 minutes. 4. Drain Potatoes and broccoli, but reserve some of the water in a separate bowl for later. 5. Return drained potatoes and broccoli to the pan, and use a spoon to smush the potatoes and broccoli together, until there are no chunks of potato left. 6. Mix in about 1/4 cup of the reserved cooking water, salt, pepper, nutmeg, butter, and 1/2 of the cheese mixture. Spread evenly in 1 quart baking pan sprayed with non-stick spray. 7. Sprinkle remaining cheese over the top, and broil until cheese is melted and begins to brown. 2-4 minutes or so.